A-HOTEL.com - Luxury and cheap accommodation in Dobrino, Russia. Prices and hotel, apartment booking in Dobrino and surrounding. Located in Kaliningrad, Celinburg Guest House has a bar. Around 22 km from Maraunenhof, the property is also 23 km away from Rossgarten Gate and offers free WiFi. La Belle Restoranno-Gostinichny Complex offers accommodation in Guryevsk. There is a games room on site and guests can enjoy the on-site bar. Apart39 in Guryevsk on Zelionaya 22 is situated in Gur'yevsk. The property features city views. Located in Gur'yevsk in the Kaliningrad region, Apartment Noynhauzen features a balcony. Complimentary WiFi is featured. Situated in Kaliningrad, 6 km from Rossgarten Gate, Apartments Vasilkovo features free WiFi. The units have a fully equipped kitchen with an oven, kettle, and a microwave. The Baltica Hotel is set close to the Chistyy Prud Lake, just a 15-minute drive from central Kaliningrad. It offers a daily breakfast buffet and a modern fitness room. Offering outdoor pool and indoor pool, Era Spa Hotel Complex is located in Bolshoe Isakovo Village. Free Wi-Fi access is available. Located within 5 km of Rossgarten Gate in Kaliningrad, Apart-Hotel Solnechny provides accommodation with a flat-screen TV. Free WiFi is provided. Relax Centre Banki features an outdoor swimming pool, barbecue facilities and a Russian steam bath. It is located in the the outskirts of Kaliningrad City. Hotel HK is set in Kaliningrad, within 5 km of Rossgarten Gate and 5 km of Amber Museum. This 3-star hotel offers a 24-hour front desk and free WiFi. Nesselbeck is a unique hotel, built in the design of a Medieval castle. Located 2 km from Kaliningrad, it offers beautiful, antique-style rooms with free Wi-Fi, homebrewed beer, and a restaurant, serving ancient recipes. 3.3 km from Maraunenhof, Neuhof Rest is located in Kaliningrad and offers air-conditioned rooms. Set 3.9 km from Maraunenhof in Kaliningrad, Apartment Nordberg on A. Apartment on Aksakova is situated in Kaliningrad, 5 km from Rossgarten Gate, 5 km from Amber Museum, and 5 km from Königsberg Cathedral. This apartment offers accommodation with a balcony and free WiFi. This beautiful villa enjoys a peaceful location in Kaliningrad, a 10-minute drive from the Kaliningrad Amber Museum and city centre. Free Wi-Fi is available in public areas. 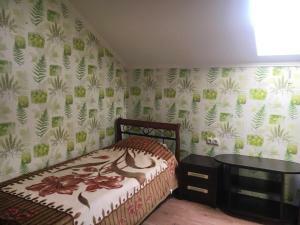 Apartment Shakhmatnaya offers accommodation in Kaliningrad, 2.9 km from Maraunenhof. Apartments na Shakhmatnoy 2 offers pet-friendly accommodation in Kaliningrad. Maraunenhof is 2 km from the property. Housed in an old German mansion, this hotel offers resort-style accommodation and is surrounded by the peaceful, green woodlands of Kaliningrad’s countryside. It is 7 km from Kaliningard city centre.